Sony Electronics has officially announced its new addition in PJ series – Sony HDR-PJ50V full HD digital camcorder, which the company claims as the world’s first digital camcorder equipped with mini projector on the opposite side of its 3-inch LCD touchscreen display. In addition, Sony HDR-PJ50V also features 12x optical zoom Sony G lens, BIONZ image processor, S-Master digital amplifier, Clear Phase technologies, Exmor-R image sensors, 1080/60p video recording (up to 24mbps), and 5.1-channel surround microphone with wind noise reduction for clear voice recording. 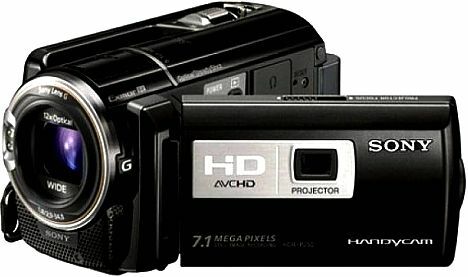 The new compact, lightweight Sony HDR-PJ50V Full HD digital camcorder is expected to be available worldwide in April 2011 for about $1000, respectively.